Welcome to ASD's online catalog. Below you will find items available for purchase and/or the option to buy tickets to an upcoming event. Participating students at ASD earn 50 % of the sales and the remaining 50% go towards ASD operational cost. Thank you for your continuous support. Please consider adding a donation to your order. Donation go directly to operational costs. Thanks for supporting Arts & Services for Disabled! 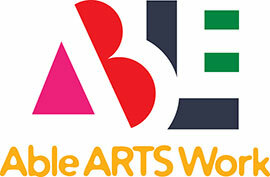 A art and music workshop inspired by the highly successful ArtBeat for Humanity. In this ArtSound workshop you will create original artwork directly onto REMO 10 inch Buffalo drum or kids djenbe.